I am a large wholesale customer of the biggest beading supply wholesaler in the United States (“Big Bead Company”) and can charge you their super-low 100 unit price level no matter how small your order is! I then order the product into my shop daily and re-pack and re-ship it directly to you. Now you can buy wholesale beads in small quantities! You will ALWAYS pay less through Jet Beads – GUARANTEED!! Follow the Order Flow to see how easy it is to save money!! Get a Quick Quote to see what you’d save!! Any additional comments or questions?? 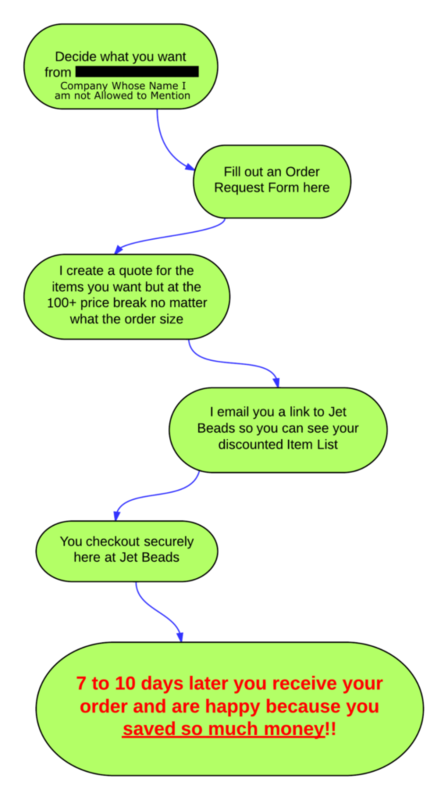 If you are a current Jet Beads customer or just want to get an order placed please submit a regular Order Request Form. Don’t believe me?? Too good to be true?? Read hundreds of positive comments from thousands of happy customers on my FaceBook Page. 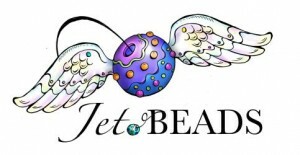 Jetbeads.com and Jason Walz are not affiliated with, nor are they agents of "Big Bead Company". Jet Beads! © 2019. All Rights Reserved.